Pilot house detail. Lt.(jg) George S. Dole with cigar. G.S. Dole Collection. 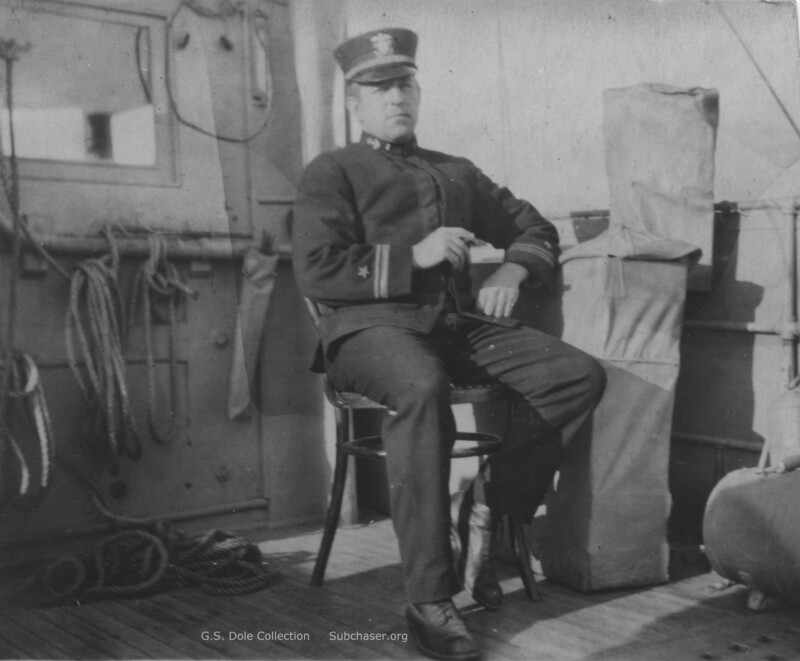 The starboard side of the pilot house is shown behind Lt. Dole's right shoulder, with coils of rope hanging on the speaking tube to the crow's nest. The door into the pilot house is on the port side, out of view. Lt. Dole's left elbow is resting on the "flag bag," the storage container for signal flags, typically seen on the bridge wing.